This post was originally titled "1954 - Michael Herbstritt". After sharing this post I realized both the year and the person featured was wrong. The post has been updated to reflect the correct date and person. William Edward McDonald the son of William Loraine McDonald and Mary Ann Jennings. The photograph was likely taken spring of 1966. 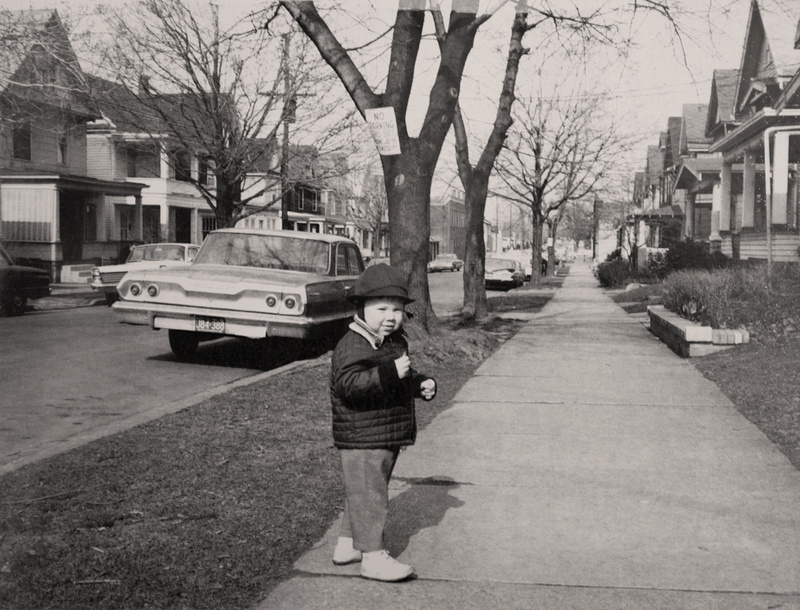 The photograph appears to have been taken in front of his grandparents house located at 317 East 27th Street in Erie, Pennsylvania. William Loraine McDonald is the son of Loraine Anthony McDonald and Frances Philomena Selker. A copy of this photograph was included in the Frances Philomena Selker Collection. Photographer Unknown. Editing and digital restoration by Michelle M. Murosky. William Loraine McDonald is my great uncle. He is the brother of Mary Eugenia McDonald my paternal grandmother. William Edward McDonald is my 1st cousins 1x. Frances Philomena Selker McDonald is the sister of my wife, Kathy's grandfather, Frederic William Selker and her great aunt. Thank you.